if you give me an email address I can send you a 18MB test clip (10 sec) from the video. For testing that should do, I think. 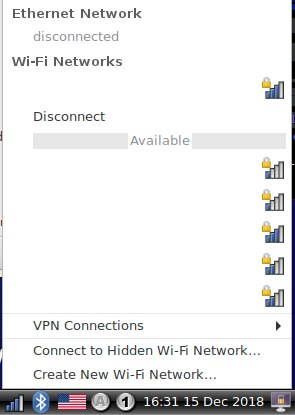 I tried TinkerOS v2.0.8 but the network manager isn't allowing me to select a wireless network. 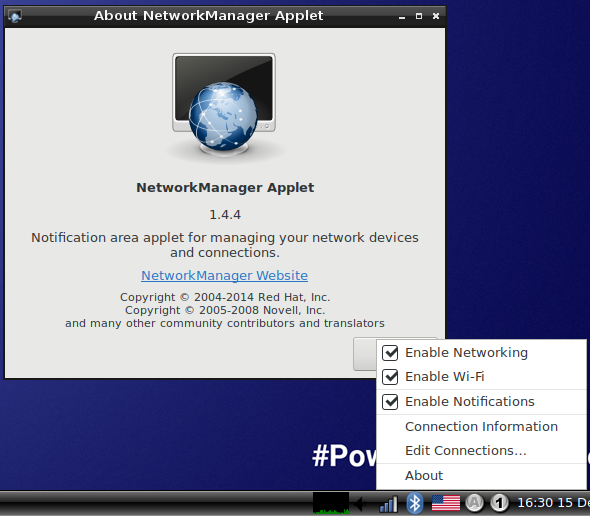 I checked the Network Manager Applet is the same version between TinkerOS v2.0.5 (NetworkManager Applet 1.4.4). From the screenshots you can see on right clicking the applet in TinkerOS v2.0.5 i can select to "Enable Wi-Fi" yet in TinkerOS v2.0.8 the option isn't even available. When I left click the applet, on TinkerOS v2.0.5 I can select which Wifi network i want to join based on the ones scanned (names removed), Connect to a Hidden WiFi or Create a new Wifi. TinkerOS v2.0.8 I don't even have that option, only Ethernet. 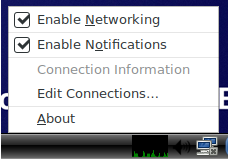 What about checking "Connection Information" ? Could you check Wi-Fi module is mounted or not? but there isn't any tinker_mcu_bl. Could you provide the "dmesg" when you booting into the system? You can enter command "dmesg" on the terminal. I want to check the kernel log in the booting time. And could you provide the picture of your device environment? I tried the board with imx219 camera but I get this error. Moreover I want to use it with openCV but I didn't find any information to make it working with AWB. CAMHALInfo: load tunning file success. AWB: (message code 02): AwbMeanSum near zero! ERROR: from element /GstPipeline:pipeline0/GstRKCamSrc:rkcamsrc0: Failed to allocate required memory.